The teachers’ strike has finally ended! This was the happy news that greeted me on Monday, and I was excited to finally go to work at Byåsen towards the end of the week. Between my NTNU teaching schedule and my NTNU student schedule, I can only go to Byåsen on Thursdays and about every other Friday. The current plan is to help with a class called International English on Fridays and to stop in on most Thursdays to help with whatever classes teachers would like to borrow me for. This week I went to both International English and an English class that is part of the health vocational track. Overall the students seem to be fairly well spoken, if a bit shy. This week has also been fun since I finally got to see my co-teacher at work. She does a really great job of engaging with the students and coming up with fun activities for them to do. I particularly enjoyed watching the students try to rap Disraeli’s 21st Century Flux, though I was surprised that the first dictionary they turned to when going through the lyrics was Urban Dictionary. I suppose that I’ll have to be the one diehard Oxford English Dictionary fan in the room. On another note, I’ve gone on a few more adventures with the other Trondheim Fulbrighter, Alix. 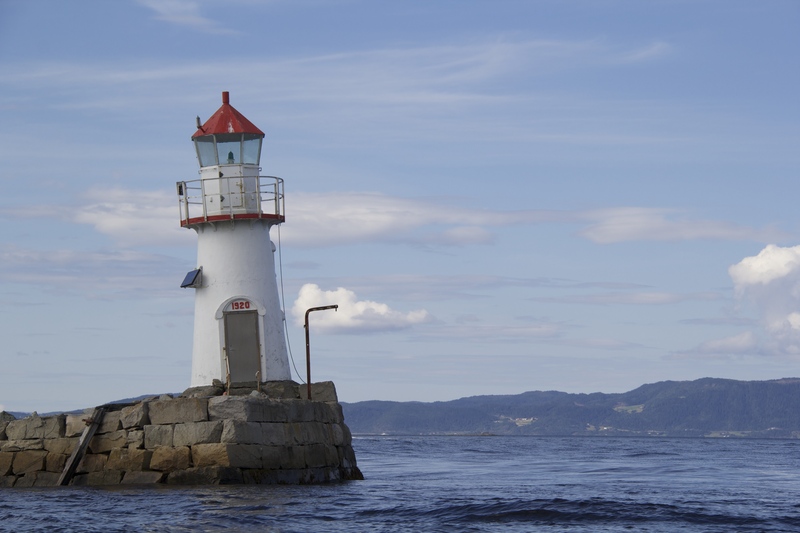 Two weeks ago we decided to try and pay Munkholmen, an island out in the Trondheim fjord, a visit since it can’t be accessed past early September. The only way you can reach the island is by boat, and because we decided to go with a sightseeing company, we got a tour of the fjord on top of our trip to the island. 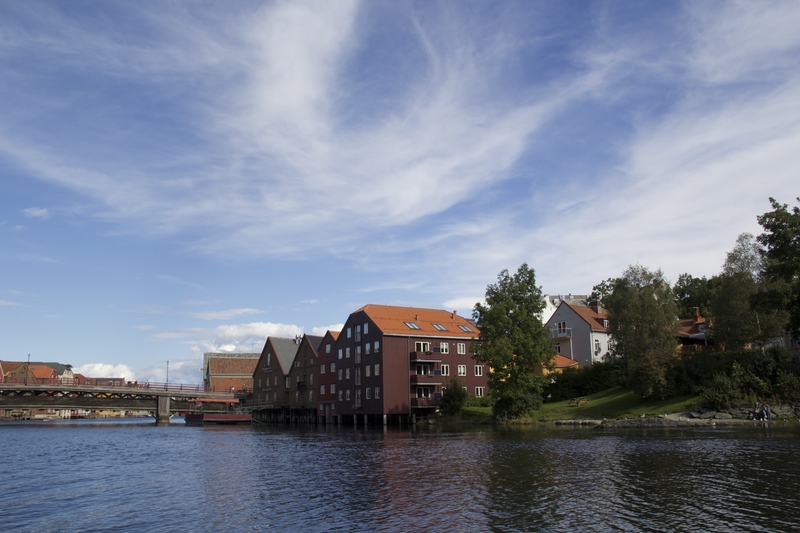 One thing that we learned on the tour was that during World War II the Germans had hoped to make Trondheim their northernmost naval base. In order to achieve this, they built two different submarine bunkers in the city, both of which are still standing today. In fact, one of those bunkers is now the home of the city and state archives. We also found out that the fjord contains a lot of salmon, which explains both the salmon vendor who comes to the nearby grocery store and the many fishermen who line the fjord on sunny days. 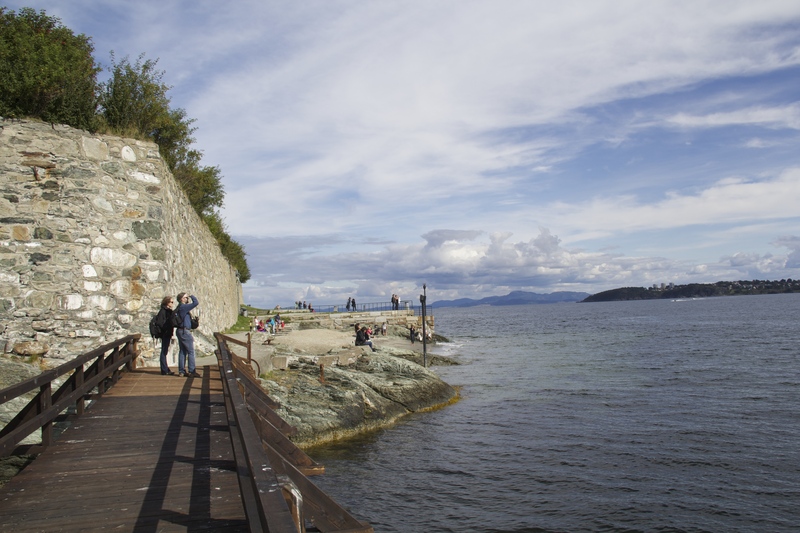 As for Munkholmen, it used to by the home to a monastery which became fairly well known for its beer. Funnily enough Munkholmen is now its own brand of beer although these days it is non-alcoholic. More recently, Alix and I had a nice sit down meal with one of last year’s Fulbrighters, Kam. It was great being able to ask her a bit more about her experiences as a Fulbrighter and to ask her for all of her Trondheim specific tips. Thanks to Kam’s advice I have now successfully found three of the Asian grocery stores downtown (and thus the location of good ramen). Lastly, I ended this week with a hike! This weekly hiking is starting to make me feel both more Norwegian and less guilty of the fact that I have yet to use my new gym membership. This week Alix and I, as well as another friend Tom, decided to brave the tram system and head out to Bymarka. Bymarka is Trondheim’s main forest and its location high up on a mountain offers some great views of the fjord. We decided to take it pretty easy so we mostly just walked around one of the lakes next to the Lian tram stop; however, we’re hoping to come back another time to explore a bit more of the forest. Until then, you’ll have to settle for some pictures of our fjord tour.